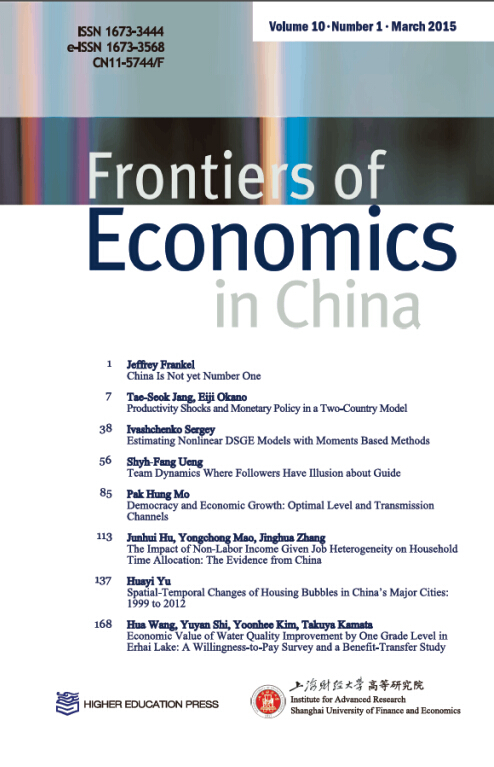 Frontiers of Economics in China (FEC) is a double-blind peer-reviewed journal that aims to publish state-of-the-art researches in economics. FEC welcomes theoretical and empirical papers from all fields of economics, particularly those with an emphasis on the Chinese economy and other emerging, developing or transition economies. It is designed to provide a platform to facilitate the communications between the scholars in China and those in the rest of the world.